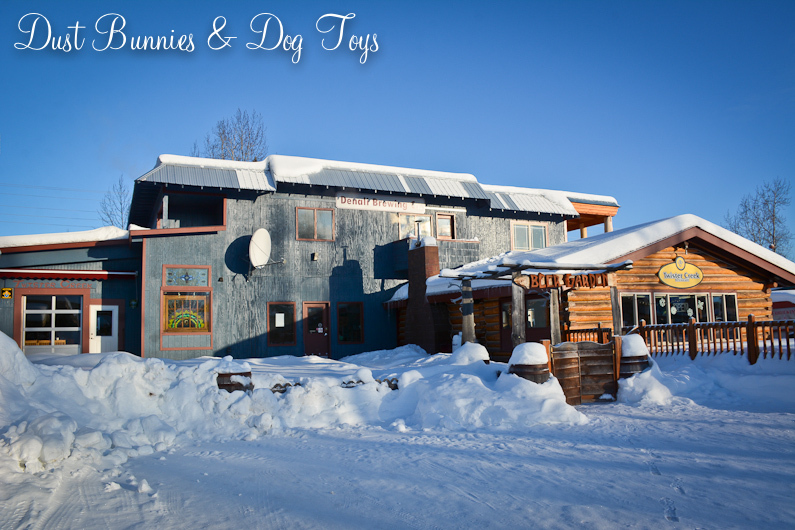 My photography MeetUp group recently got together to explore Talkeetna, AK. 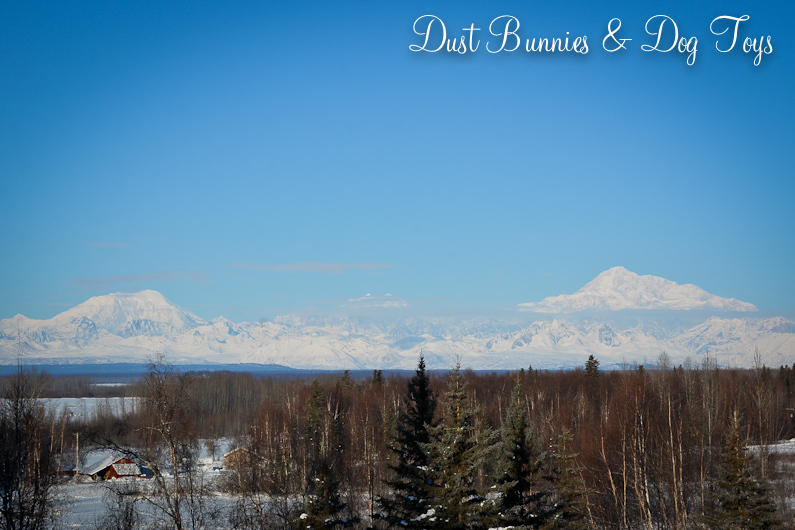 Although I’d been past the turn off for this little town many times on our trips to Denali, I hadn’t yet stopped in to check it out so this was the perfect opportunity to do just that. 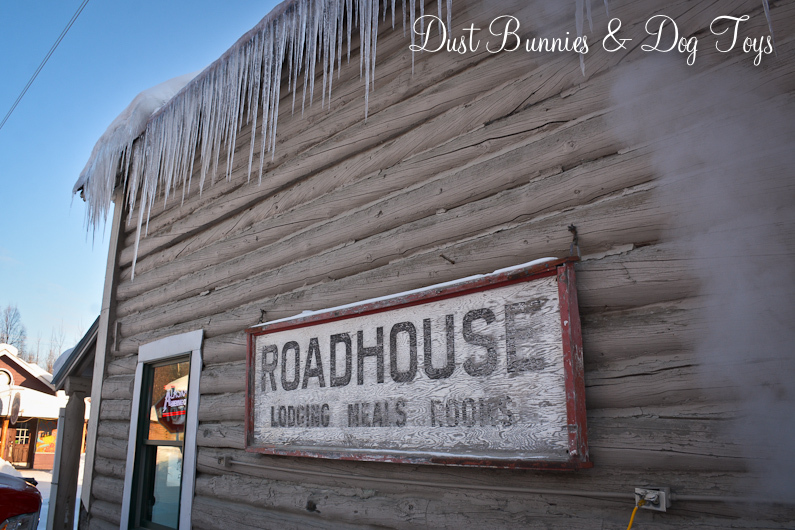 We met up at the Roadhouse for breakfast and socializing first. 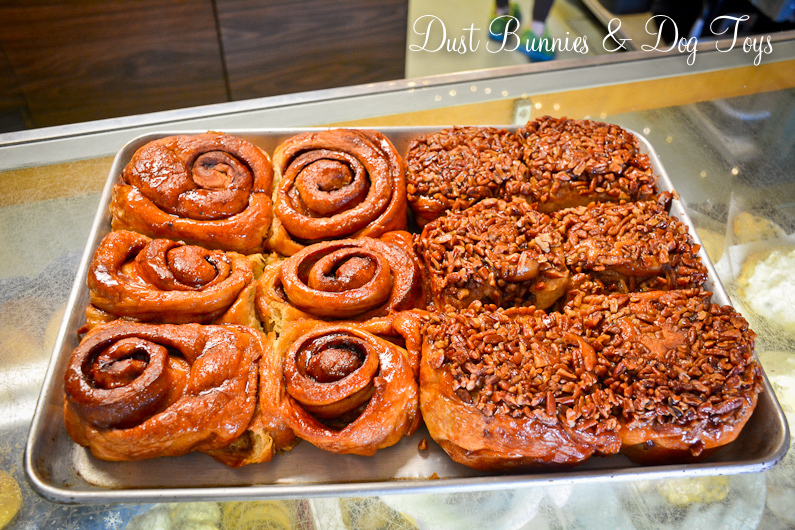 It was in the negative temps outside so the warm interior with yummy handmade specialties was a great way to start the visit. 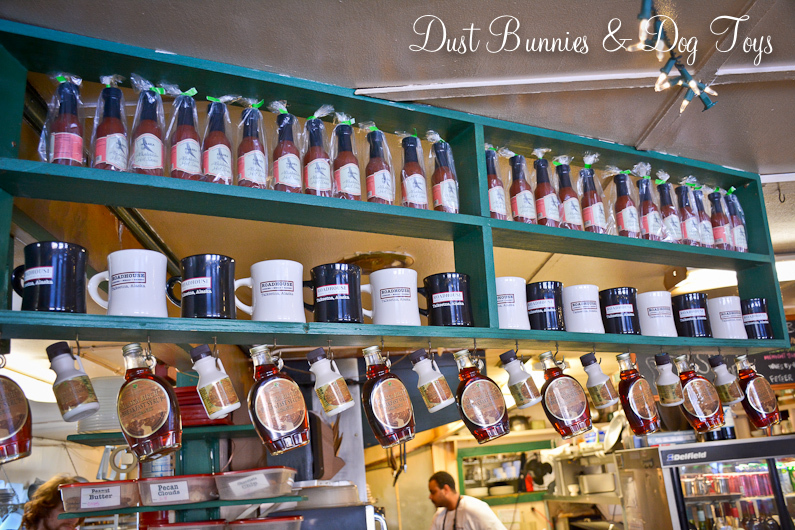 There was a small bakery selection in the display cases and a variety of specialty syrups and sauces above. 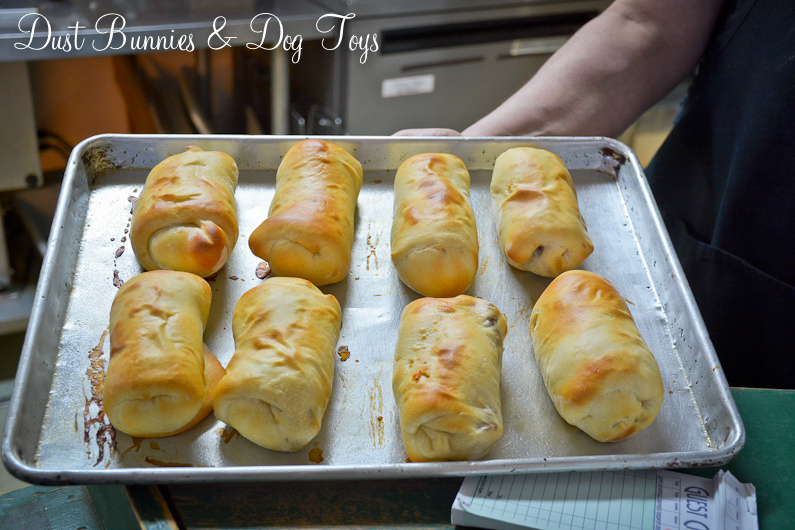 The staff pulled out several of the trays so I could get a better look at the massive options from specialty cinnamon rolls, to meat pies and unique Alaskan items such as “Rudy in a Parka” – which was an oversized version of a pig in a blanket but with reindeer sausage. That’s what I chose to try and was very satisfied with it. 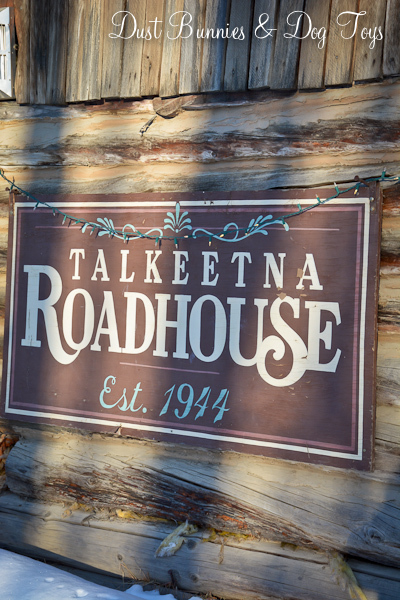 As we sat and ate one of the group members who comes to Talkeetna a lot told us about the history of the area and how the Roadhouse becomes a gateway for visitors from around the globe who have come to summit Denali. 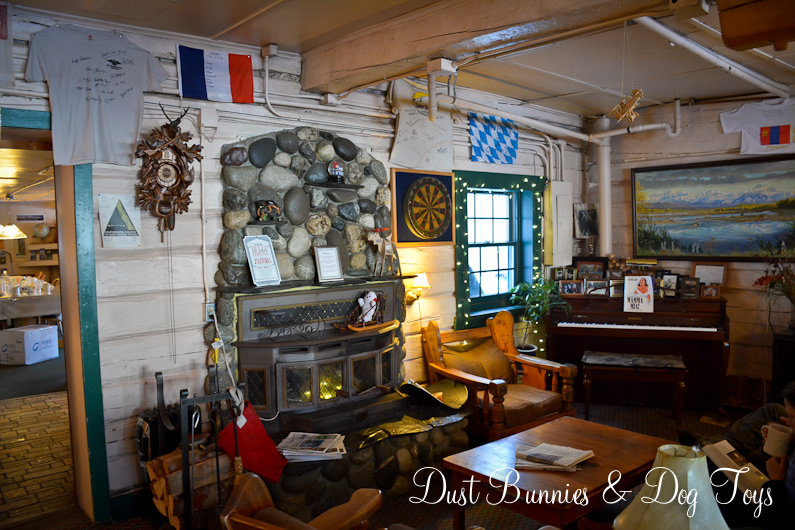 During the summer months she said it’s not uncommon to have a variety of nationalities in this small room swapping tales, creating music and interacting. 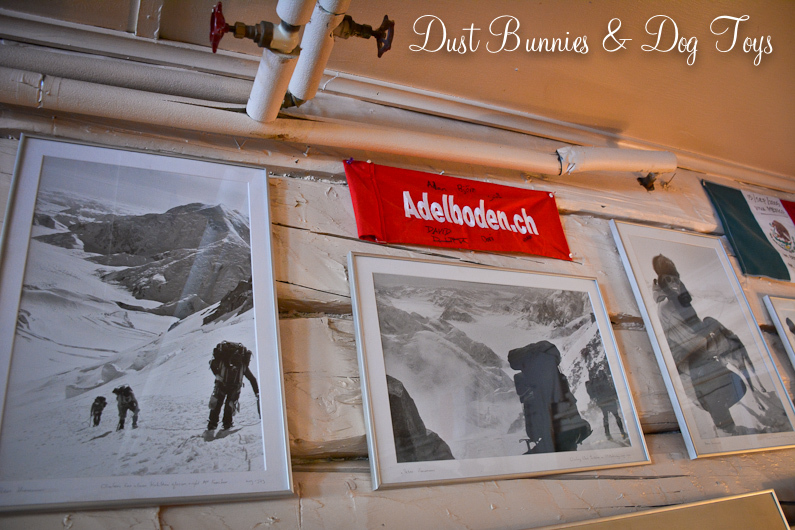 Around the room there are flags for teams who have successfully summited the mountain and photos of some as well. 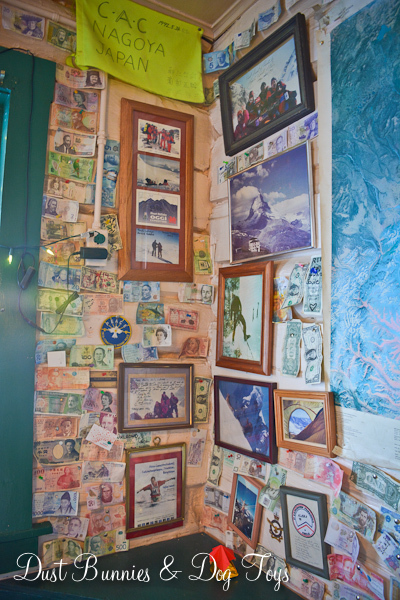 In one corner monies from around the world have been posted, sandwiched between terrain maps, team flags and more photos of successful climbers. 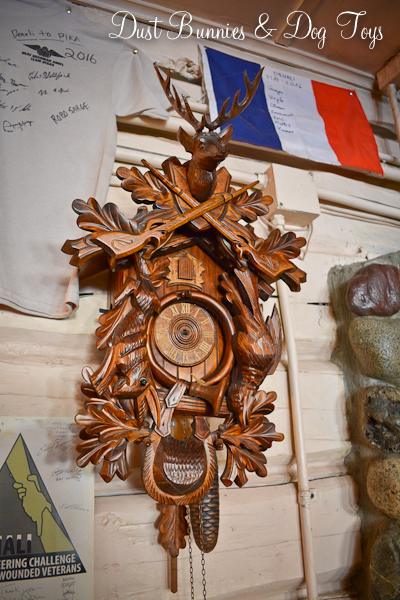 And on the far wall was this interesting cuckoo clock. 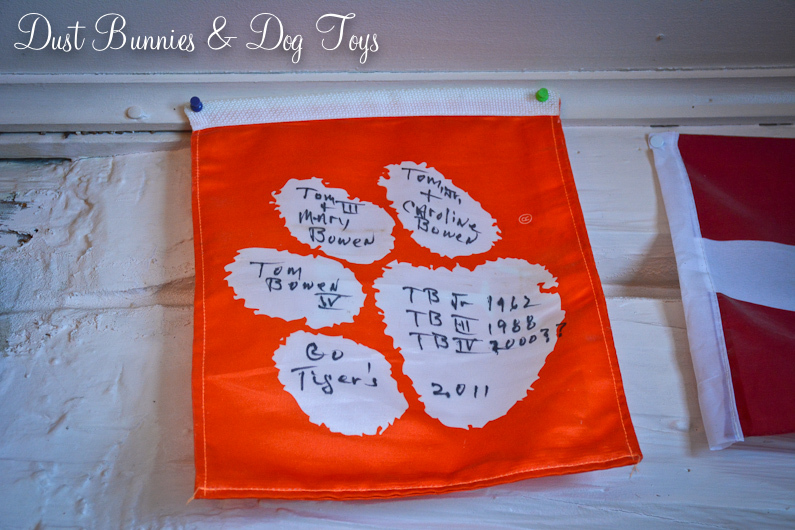 I wasn’t able to get the history on the piece but imagine it arrived as a gift from a foreign visitor many years ago. 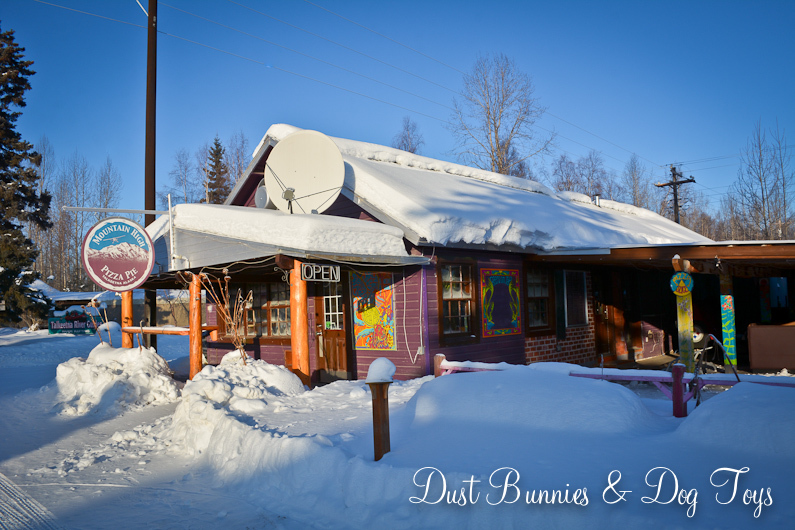 With a full belly for warmth I bundled up and headed out in to the frigid temps to capture a few more of Talkeetna’s quirks. 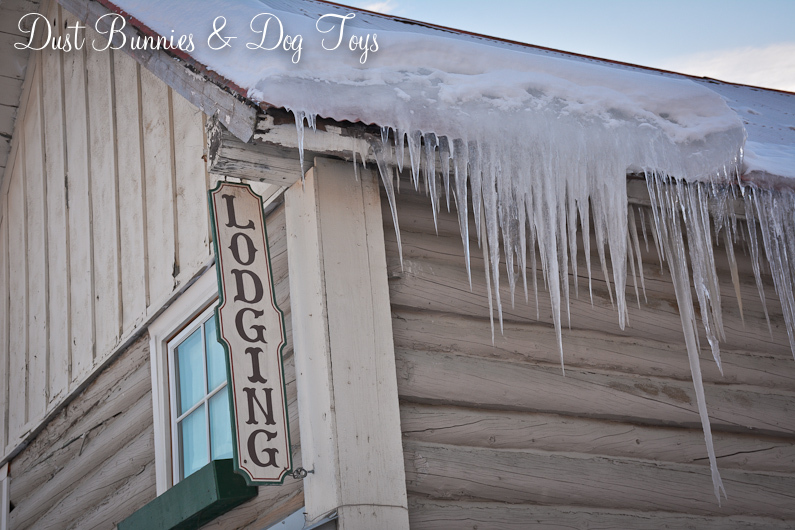 I loved the textures of the old building and signs next to the smooth icicles hanging from the roof line. Across the street was a pizza place with eclectic artwork. I can easily envision this place in the summer with dread headed servers taking patrons orders on the patio. A few more steps down the street was the beer garden of Denali Brewing which I’m sure is also another hot spot during the summer tourist season. In the center of town – which was literally right next door to the brewing building on the main street – was the Fairview Inn. It seems to be the major hotel in town. 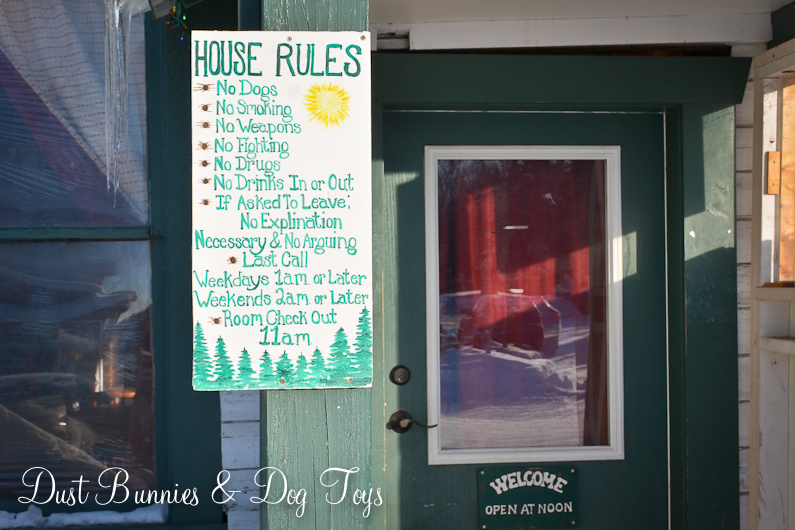 I didn’t venture inside but the rules sign out front did make me smile because it’s definitely not something you’d see many other places. 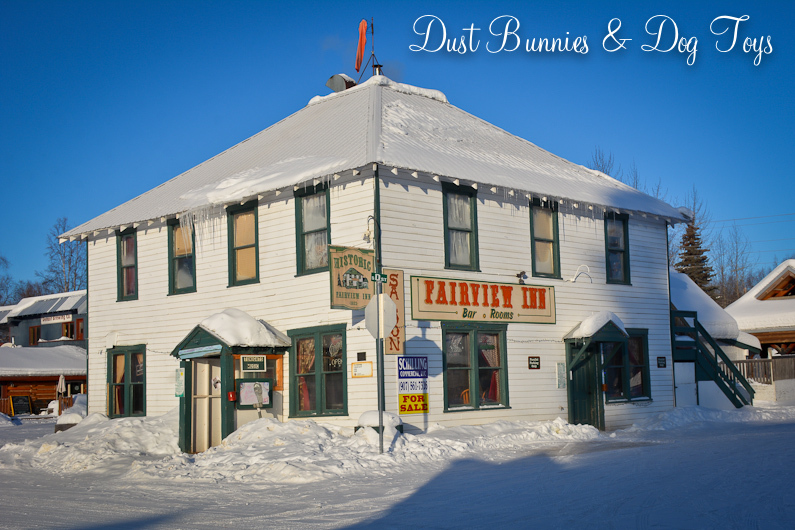 Across from the Fairview Inn was Nagley’s Store, which looked like it had been pulled right out of a scene from Northern Exposure. 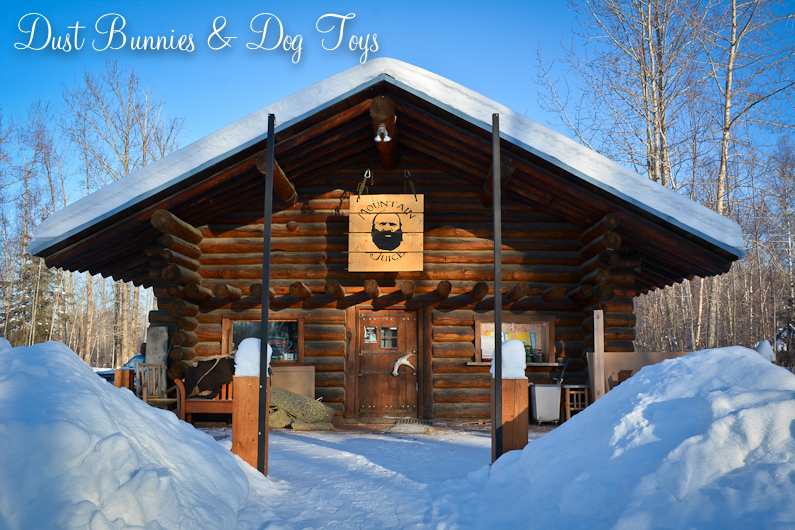 This is the towns general store for all your basic goods. While the sign on the front of the building seemed relatively new, the two on the side of the building quickly reminded you that this place has been around for a long, long time. 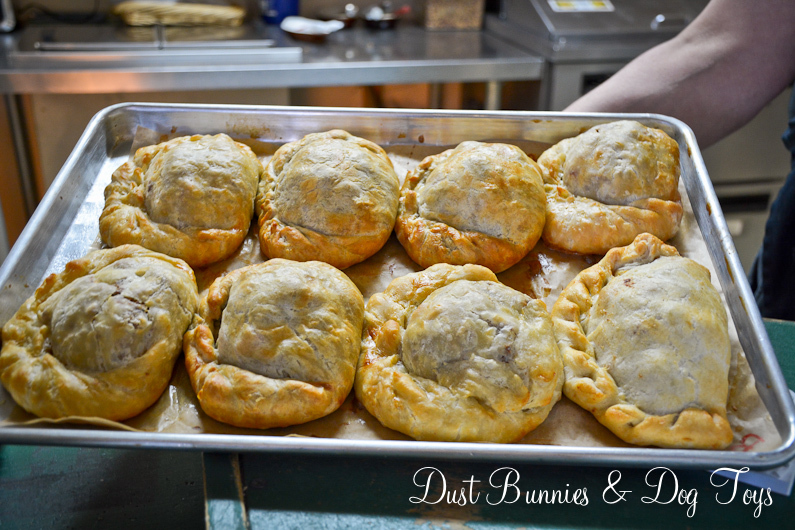 Next door to the general store was this little stand. 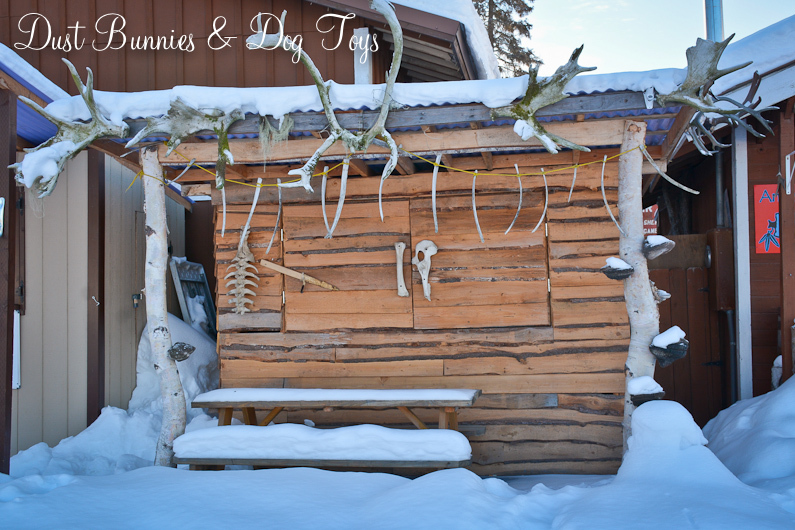 I’m assuming it’s a vendor booth during the tourist season but during the winter it’s a collection of local wildlife bones and antlers. 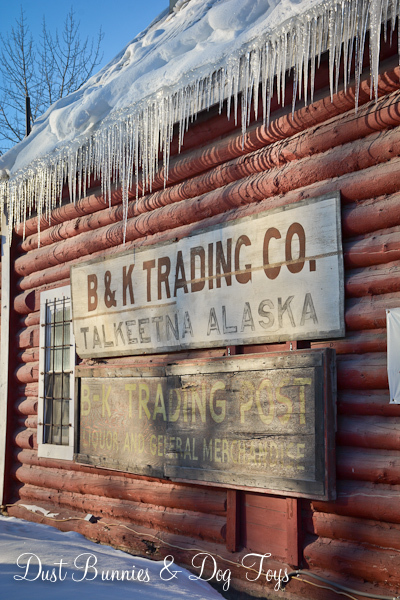 There were several signs around town describing early pioneer life and how Talkeetna was settled as a trading post. 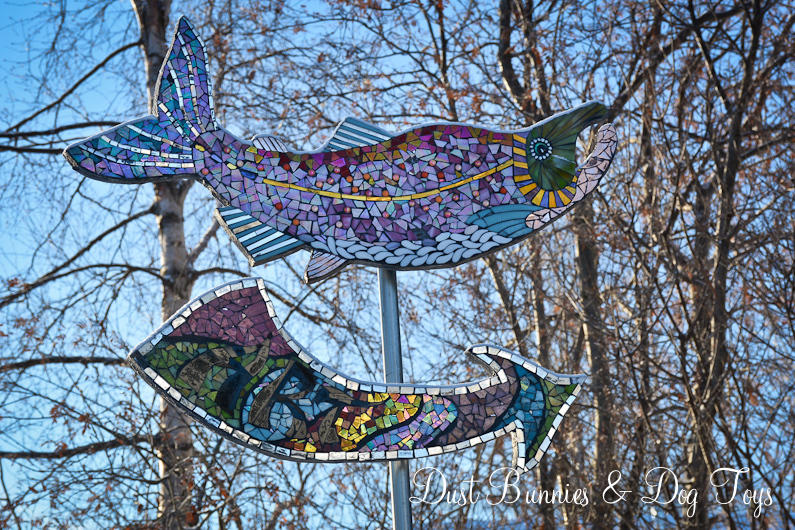 There were also some interesting art displays including this one that was above a house with several salmon inspired designs. I got the sense that there’s a strong artist community here, which makes sense because the surrounding scenery is quite inspiring. 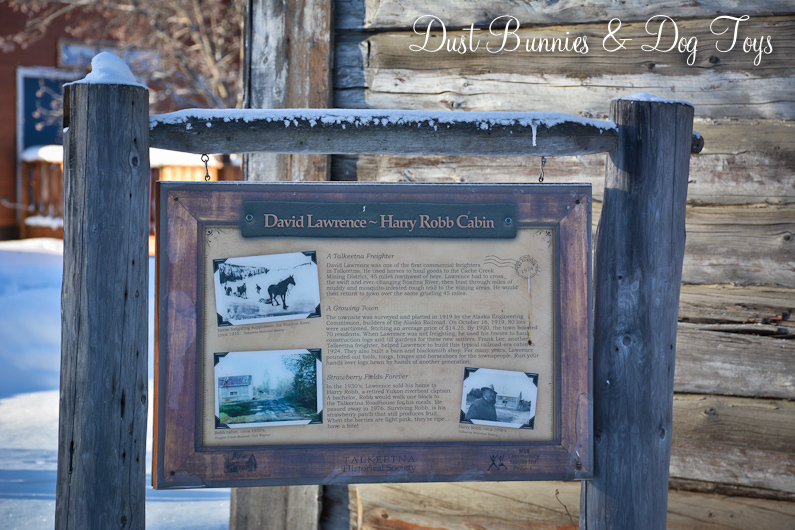 There were also a handful of historic cabins and homes that were preserved with signage describing how they were significant to the history of the town. 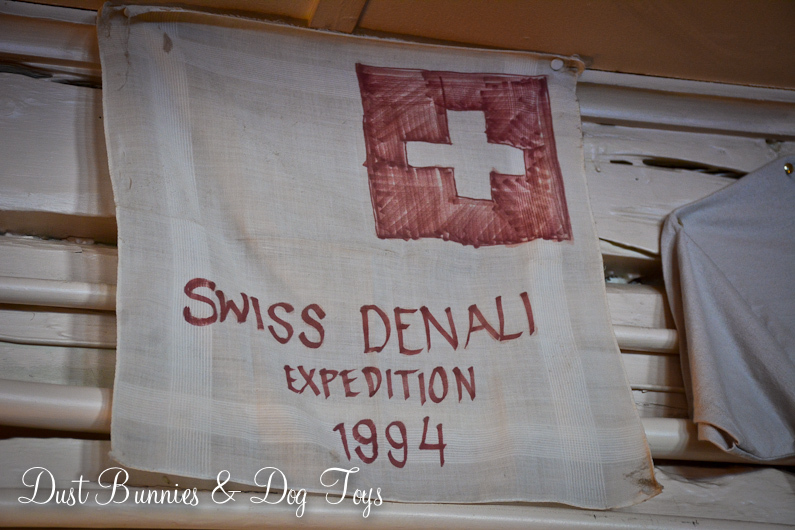 Due to the extreme cold I didn’t stick around to read all the signs or investigate any of the sights in depth. Instead I wandered the side street just off the main road taking in the sights and identifying spots I’d like to come back to check out in the warmer months. 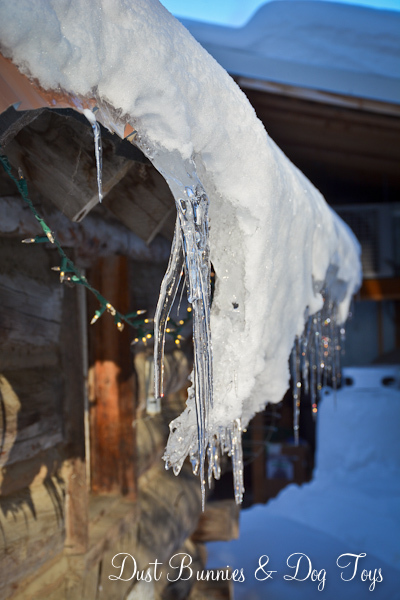 But the snow and ice did have a special beauty to it as it clung to the buildings. At the end of the main road I spotted this establishment, which I assumed was another brewery type vendor. I just loved the Alaskan signage and door handle. 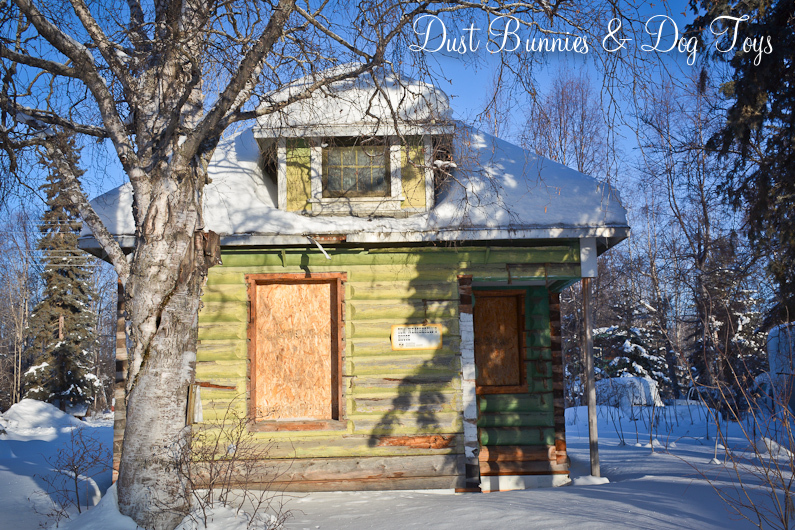 Next door was another historic cabin in need of a bit of restoration. 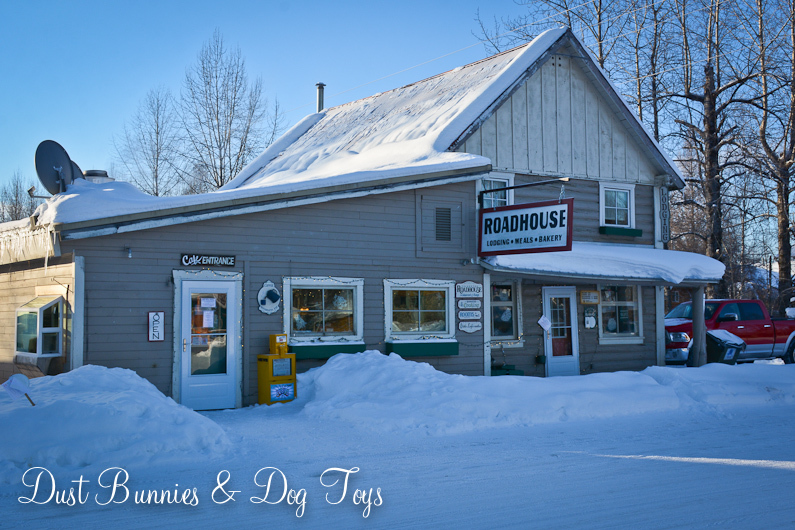 I stopped back into the Roadhouse to warm up since I could no longer feel my fingers and learned that the group planned to head over to the park at the end of the main road to see where the rivers met and the landscape opened up to views of the mountains. 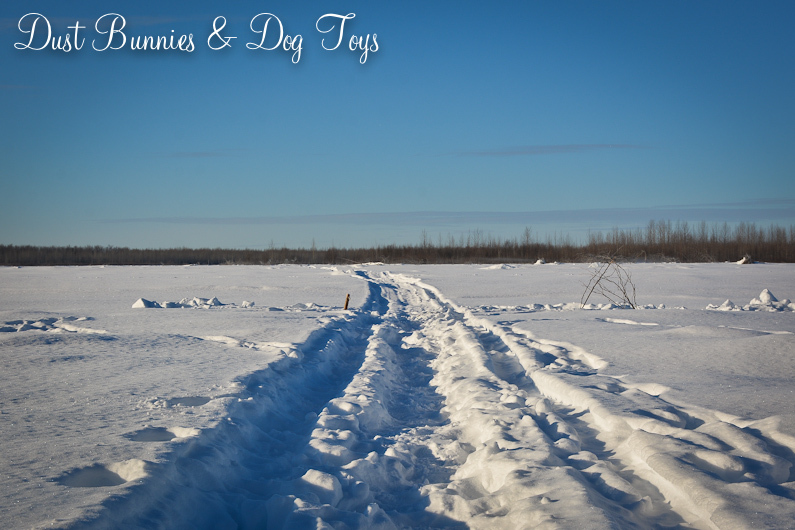 This was obviously the main snow machine trail in town and access to nearby hunting areas. 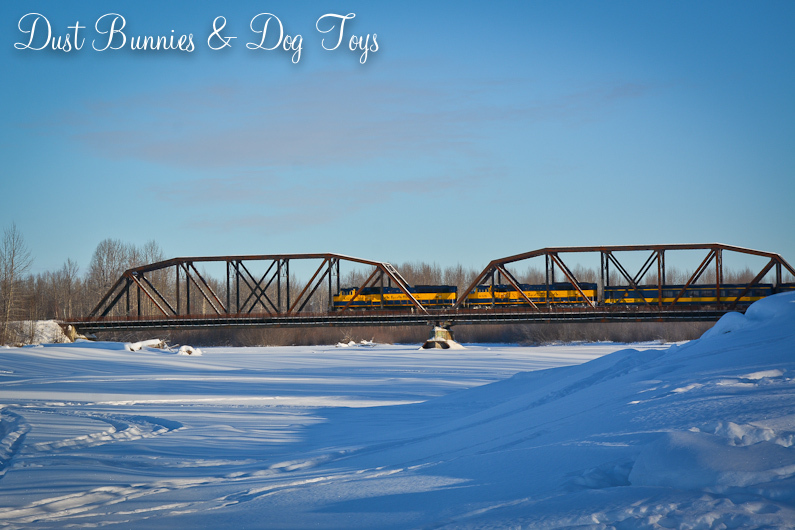 As we reached the riverbed I heard the train whistle nearby so I hurried down the trail and caught the train just as it made it’s way across one of the trestle bridges. As I returned to the group who had set up to photograph the mountains I saw that one of the members had ventured out into the snow drifts where her shoe had gotten stuck and frozen in place! 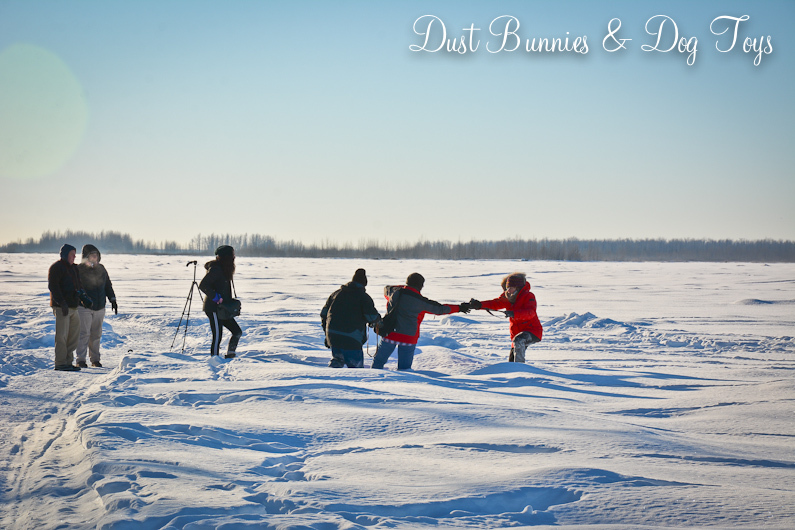 Like most photographers, her primary concern was handing over her camera for safekeeping, then the group leader helped dig her out. 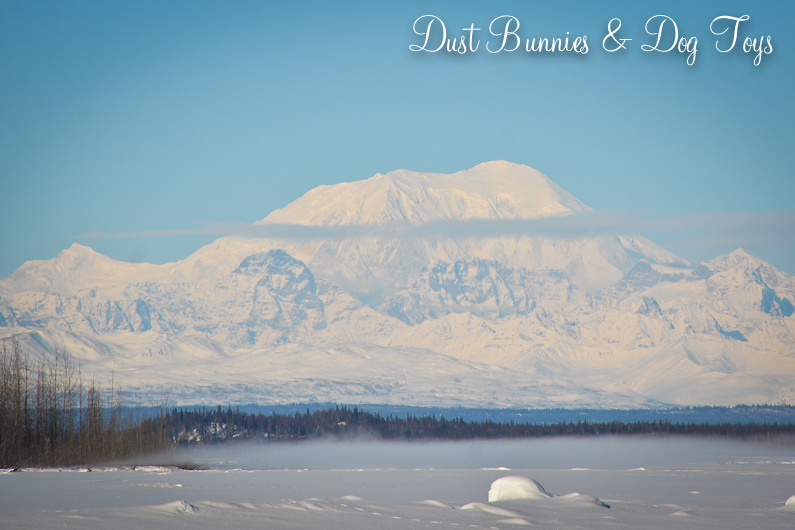 Once she was safely in the vehicle warming back up I got a few shots of the mountains, including Denali, which graced us with a fairly clear vantage. 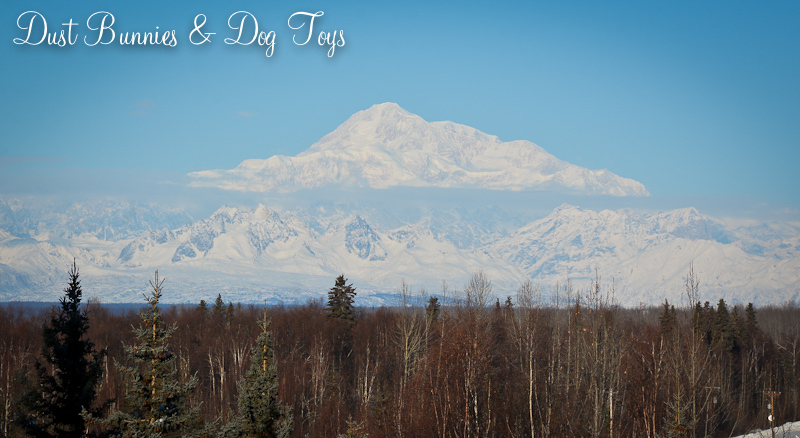 The clear day made the panoramic view amazing. I had to get back to town for an appointment that afternoon so I bid farewell to the group and headed back toward the highway. Along the way I remembered to stop at a viewpoint I’d spotted on my way into town which gave another great view of the range and The Great One. 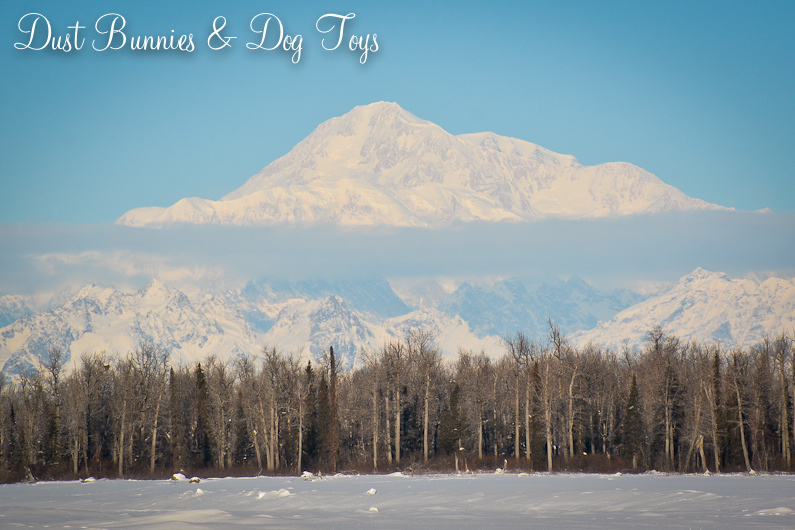 Benn there many time but your photography highlights Talkeetna in the winter…great job!